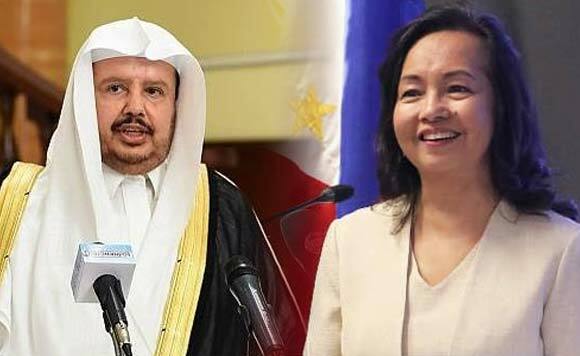 House Speaker Gloria Macapagal Arroyo was at the Kingdom of Saudi Arabia last week to lead an investment mission for Mindanao. The timing was perfect: Just as the Bangsamoro Organic Law was passed through a plebiscite, the lawmaker took it as an opportunity to bring home business opportunities for the region. Representatives of Mindanao also joined the “Madame Speaker” in her mission, namely: Reps. Mauyag Balt Papandayan Jr., Macmod D. Mending Jr., Amihilda Sangcopan, Bai Sandra Sema, Ruby Sahali and Shernee Tan. “The Bangsamoro congressmen are now eager to go to the next step – try to get investments. So that having the Bangsamoro they will be able to bring down the poverty there by having business activities so we’re helping them out. We are going to have an investment mission in Saudi Arabia,” Arroyo said about her trip.